Are you tired of the normal summer shenanigans? Are you ready to switch it up this summer? Are you ready for your kids to have the best summer ever? We thought so. At Rollerland Skate Center we have the perfect summer plans for your kids. Sign up for our summer day camp. It will be the best part of your kids’ day! 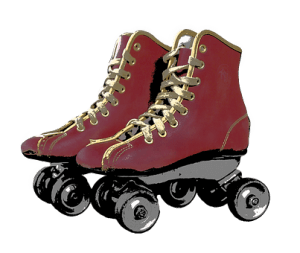 From May 30th-August 11th Rollerland will have our annual summer day camp for kids. They work hard in school during the year and deserve to have some fun during the summer. It can be hard when parents work all day, so we want to take them off your hands and give them some of the best days ever! Skip the babysitter and let the kids have days filled with fun activities and tasty food. Some of our activities aren’t things you can do at home. We will have our skating rink open and plenty of other activities available like mini golf and bowling. If the kids get tired, they can take a break and watch a movie. The kids will even have opportunities to swim! We will communicate with you when your kids need to bring their swimmies. These are some of the best summer activities available for the summer and your kids can do all of it with us at Rollerland Skate Center. For all summer fun, supervision, and food throughout the day, our starting rate is just $35 per day. That’s cheaper than hiring a babysitter! Ensure your child is having the time of their life and staying healthy and active at the same time. For more information about our summer day camp, contact us.